I just tried out this great phone case from ArmorFit for the iPhone 6. It comes with a screen protector and screen cleaning cloth. This is really nice because the case is open face so you will want to make sure you have a screen protector installed on the face of your phone in order to protect it. The case is very nice it’s flexible and easy to use. It comes in several different colors and it lightweight but keeps your phone safe from damage. Just pop your phone right into the case. There are access spots for all the important items like the camera, charger, headphone jack, etc. It’s flexible and soft so if your phone does get dropped it does a good job of absorbing that shock and damage. I really love mine! 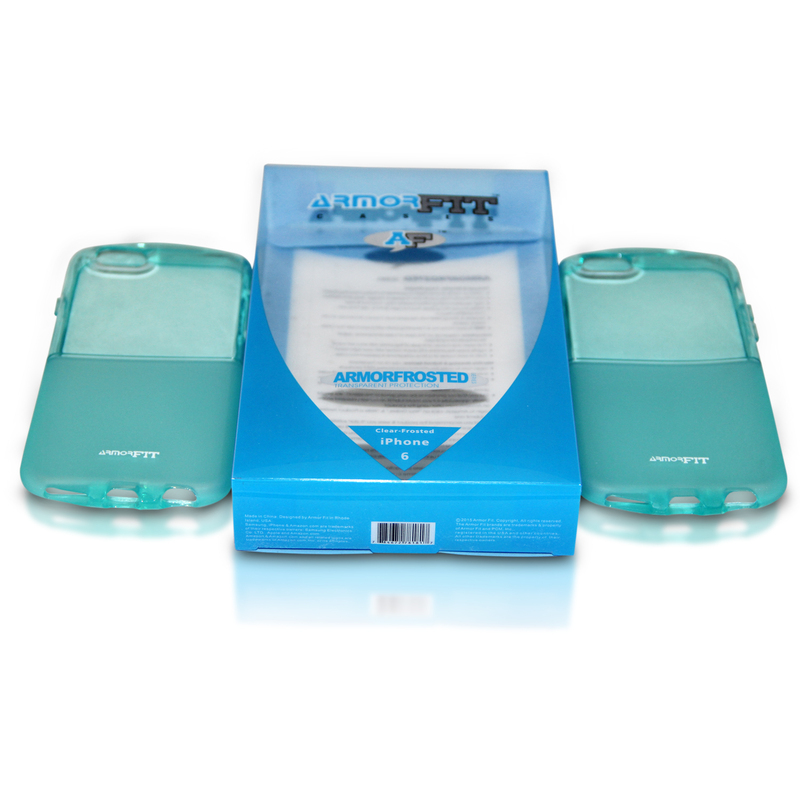 The Armor Fit Clear Frosted iPhone 6 case is the premiere launch smart phone case from Armor Fit. The Clear Frosted iPhone 6 case is the first half-clear and half-frosted smart phone case on the market. It comes in 6 colors: Black, Clear, Green, Gold, Pink and Red [Orange-Red]. 1 for each of the 105 bloggers. The Clear Frosted iPhone 6 case is light weight, slim, flexible, yet firm and has shock absorbing protection for your iPhone 6. It is a back cover iPhone 6 case, has a Lifetime Warranty Guarantee for the original purchaser and is only available on Amazon.com. It comes with a free screen protector and cleansing cloth inside the beautiful light blue plastic package box. The Clear Frosted case fits your iPhone 6 like a glove and will slide into your purse or pocket with ease.